I am a firm believer in there being a scent to suit every mood. Ones for relaxed holidays, romantic dinners and important meetings. I always tend to gravitate towards certain fragrances for different occasions. What’s more interesting is when a perfume itself can instantly transform your mood. 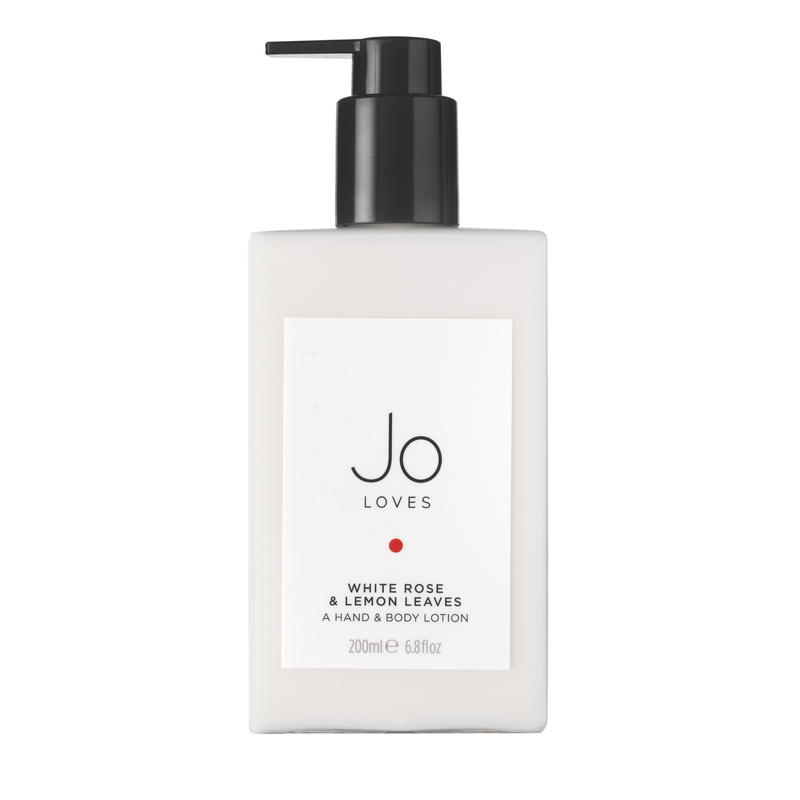 As in, I can have one spritz of Jo Loves White Rose & Lemon Leaves and instantly feel a whole lot happier and sunnier… This doesn’t happen a lot, and I fell in love with the freshness of this from the first time I smelt it. Even though citrus fragrances tend to leave me a little cold, there is something so beautifully soft and zesty about this. This is my favourite citrus scent that I have ever come across, so let’s go with zesty and fresh. What makes this so much more interesting than your typical sharp citrus is that this is so beautifully soft and delicate. If you, like me, have been put off by the artificialness of other citrus scents, then I would recommend checking this one out. It’s perfectly rounded and soft, and not in the least bit jarring. The white rose is the driving force of the whole scent; white rose is a lot cooler and calmer than something like Jo Malone red roses, for instance. Cutting through the floral is the tanginess of the lemon leaves, which just complements it beautifully. It’s much more of a lemon sherbet style softness that gives the finished scent a clean and slightly powdery finish. This was my first dabble with all things Jo Loves – I have been an admirer of hers for years. Obviously Jo Malone perfumes are pretty infamous amongst beauty lovers, and I love how her new brand seems to translate even more of her passions and loves. Her autobiography is a really interesting read for lovers of perfume, too. I think her passion for all things perfume is pretty apparent! White rose & lemon leaves is an elegant fragrance, and one I could imagine would easily fit into a lot of people’s scent wardrobes. Light enough to wear to work/office without being overpowering. For me, this is a beautiful summer perfume that just lightens your mood and makes you want some sunshine! This scent is just leagues apart from anything else I’ve ever smelt, so this is not an easy one to dupe. The softness of the lemon reminds me of L’occitane’s lemon verbena (although Jo Loves has better longevity on the skin). If you’re a fan of light scents, or really refined florals then I can’t recommend this enough. See more perfume posts here!